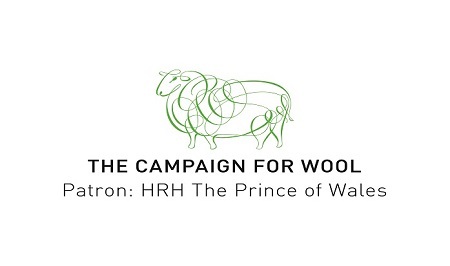 This past week The Campaign for Wool celebrated its 6th Wool Week in operation by hosting a number of events around the country from 5th-11th October. This dedicated week aims to raise awareness of the versatile woolen fibre and highlight its renewable and biodegradable properties. The Campaign originally launched in October 2010 and is closely supported by His Royal Highness The Prince of Wales who is a patron of the organisation and committed environmentalist. 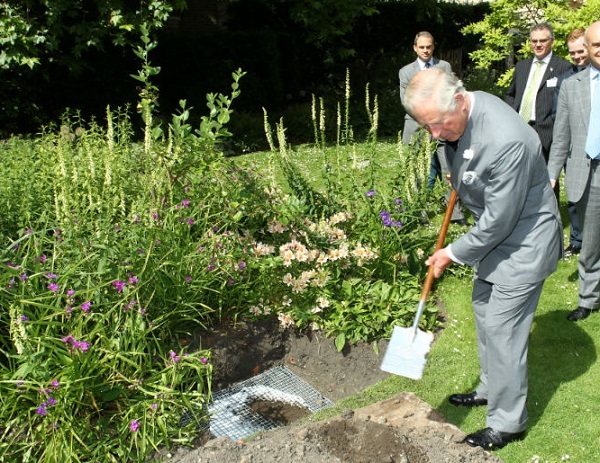 In June 2014, His Royal Highness The Prince of Wales took part in an experiment at Clarence House looking at the biodegradability of wool compared to other synthetic fibres. 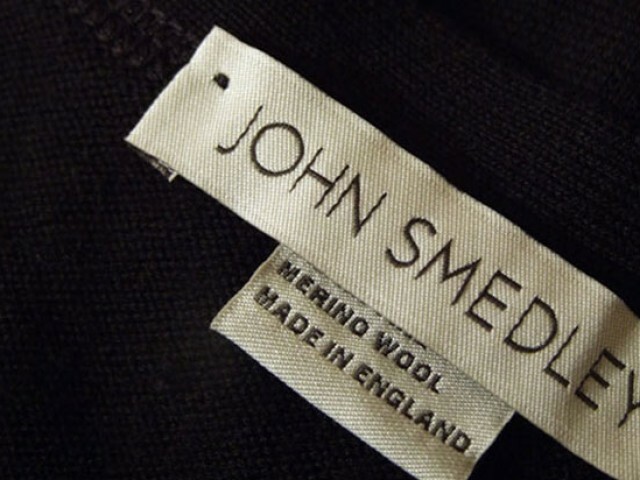 Here at John Smedley, we supplied one of our 100% Merino Wool styles to take part in the test and this jumper, alongside a similar looking garment constructed of synthetic material were buried side by side in a flower-bed. After 4 months, the jumpers were eventually uncovered from the ground and the results were immediately obvious. 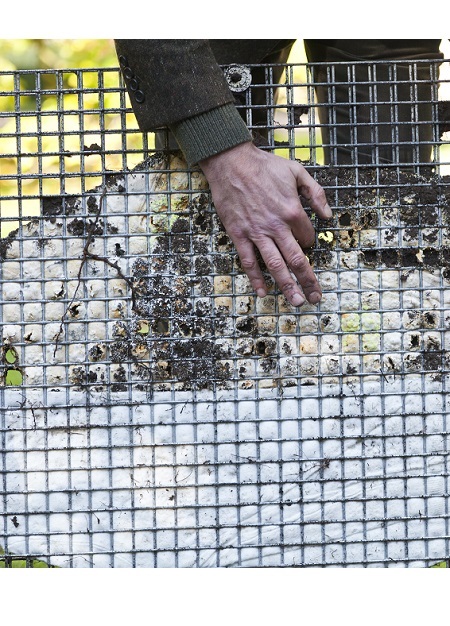 Our Merino Wool style was mid-decomposition and was being held together by the metal frame which it was buried with. 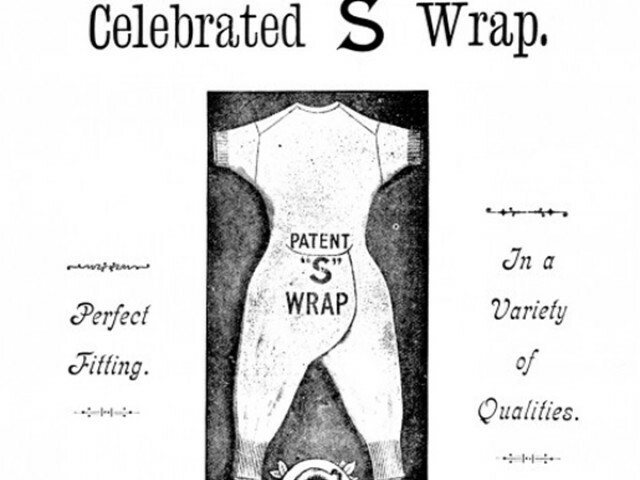 In contrast, the synthetic jumper appeared unaffected – clean and white showing no visible signs of degradation. The experiment underlined the ecological effects of buying synthetic fashion and the long-term effect that it has on the environment. As we are currently living in a throw-away society, recognising the impact produced from switching from such fibres to natural alternatives such as, wool can be enormously beneficial to our environment. 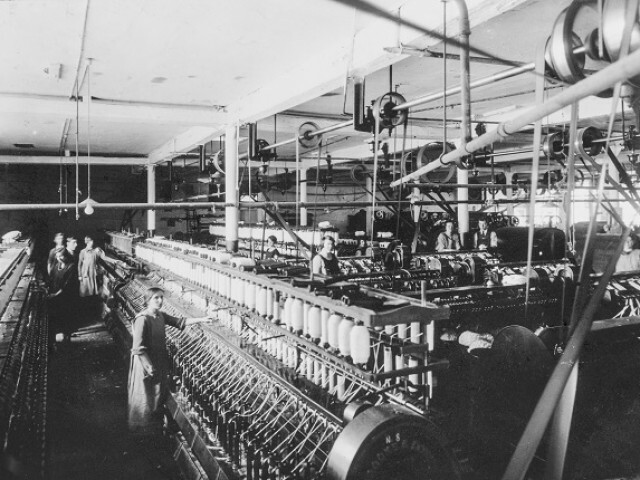 Synthetic fibres can take up to 30-40 years to fully degrade whereas wool completes this process within a matter of months; the benefits of wool are easy to comprehend. Not only this, wool is an active component that reacts to changes in body temperature, allows the skin to breathe as well as being exceptionally comfortable to wear. 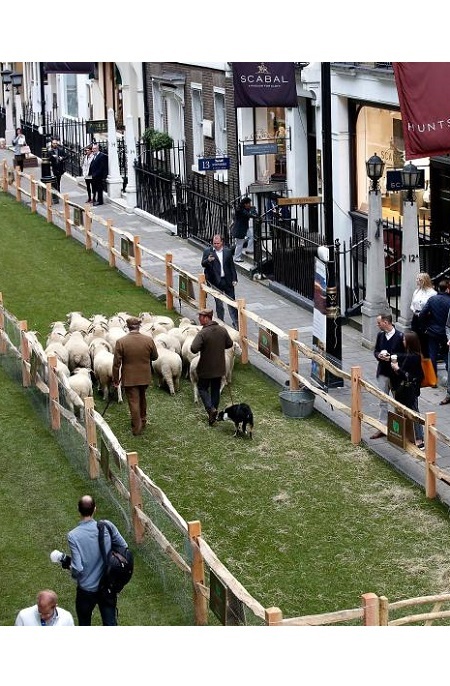 In London, Mayfair’s Savile Row came together to celebrate Wool Week by closing the road and welcoming 30 grazing sheep onto the row. The street was brimming with Exmoor Horns and New Zealand Bowmont Merinos which attracted passers-by and emphasised the relationship between wool and the premium menswear industry. Three sets of male models were also in attendance, showcasing the finest of mens woolen fashion. Styled by Luke Day, GQ’s Style Editor, the models presented themes including, ‘Bespoke’, ‘Icelandic’ and ‘Traveller’ which incorporated designs from tailoring houses and other recognisable brands who utilise and enhance the properties of wool to create iconic pieces.